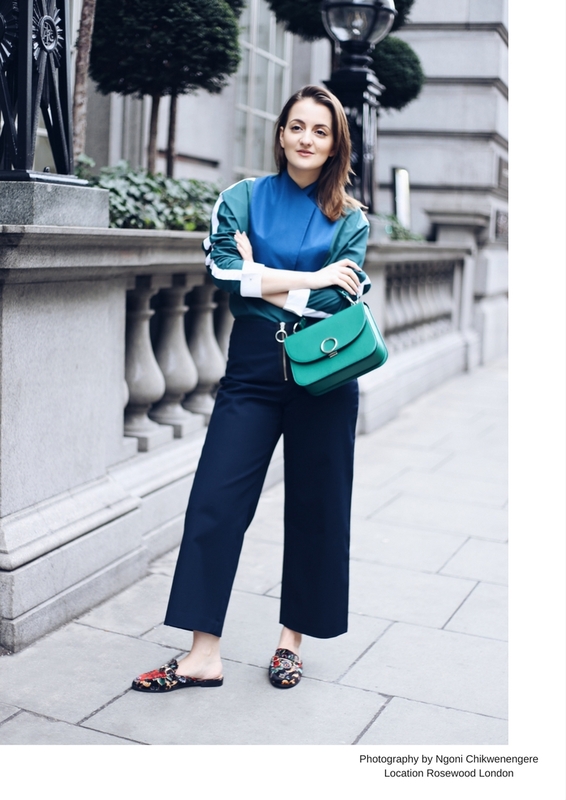 If, like me, navy takes a large proportion of your wardrobe this post will be right up your street. Timeless, versatile and oh-so-easy to wear regardless of the occasion and body shape, navy is my all-year-round favourite colour. Trends come and go but navy is here for the long haul. Unlike black, just about everyone on this planet looks good in this colour. It also instantly makes your separates look smarter, meaning it’s perfect for your work wardrobe as well as your casual, off-duty outfits. Whether you like a classic white and navy combination or prefer to mix it with a colour pop (just like I did in the outfit below), navy adds the right amount of chicness to your everyday looks. 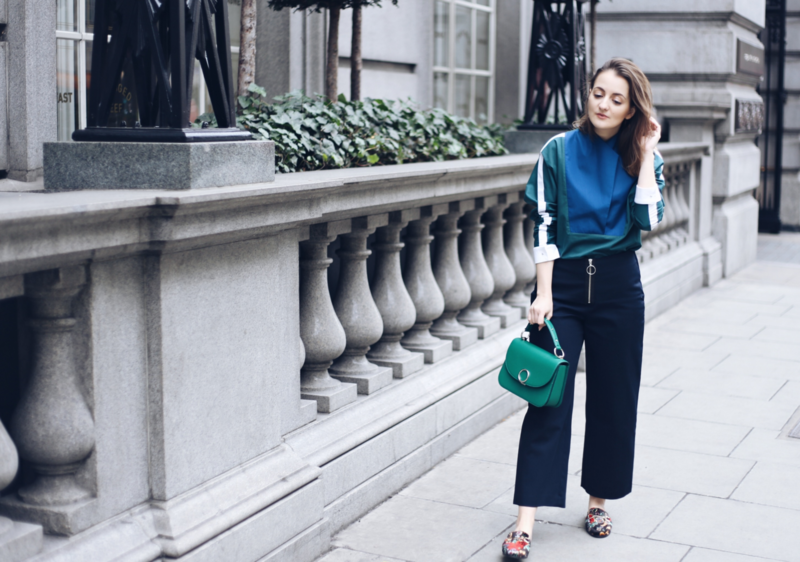 I styled a crisp forest green and dark blue shirt from House of Ronald with a mixture of my favourite new season pieces from the high-street. Comfortable enough to run from one meeting to another, without loosing style points either. If you’re digging this colour, why not invest in some amazing home furnishings, too? Seeing as this colour pretty much goes with everything, it seems like the perfect excuse to redecorate your pad (Amara has the best home wear selection, so start your shopping there). 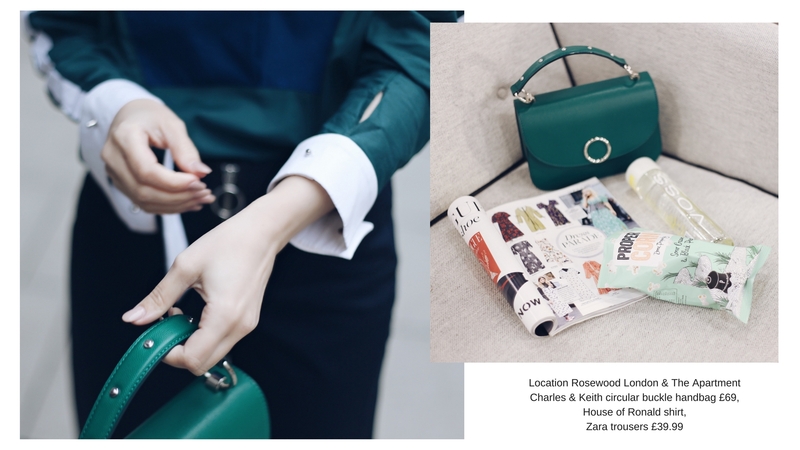 Scroll down to see all of my favourite navy pieces right now.